Thanksgiving flew by and now we're back to "normal" life. I hope you had a blessed time with family and/or friends. We had a great time with our families and, wow, does the time fly when you're having fun! 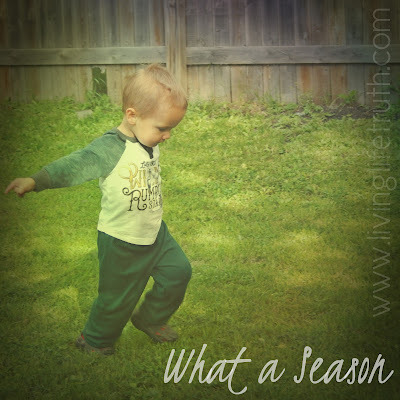 For today's Five-Minute Friday, our free-write word is "Season". Today I found E coloring at the kitchen table. That was fine. Problem was he was pants-less. I made a new impromptu rule in the house: "To sit at the kitchen table you must at least have underwear on." On our morning walk, we had a major melt down. For the last stretch up to our house, I carried a diaper bag in one arm and a trike in the other while "wearing" the baby in the Moby wrap. Toddler trailed behind in tears having a meltdown because he wants his daddy... and chicken nuggets... and milk... and he definitely doesn't want his bike... but he doesn't want to walk either. Ah yes, what a season! This season of littles is beautiful. It's like a beautiful tornado. The house is usually a wreck. I look like a wreck. If our socks match, we're lucky. I'm exhausted by 8:00 pm yet I wonder what on earth I accomplished during the day. It's a messy one but my heart is so full. These kids are already growing up too fast. Some day in the far off future, my babies will leave the house and I'm going to miss this messy, exhausted season. Ah, I remember those days! Hang in there and stay close to Jesus, my friend. They really DO grow up fast. 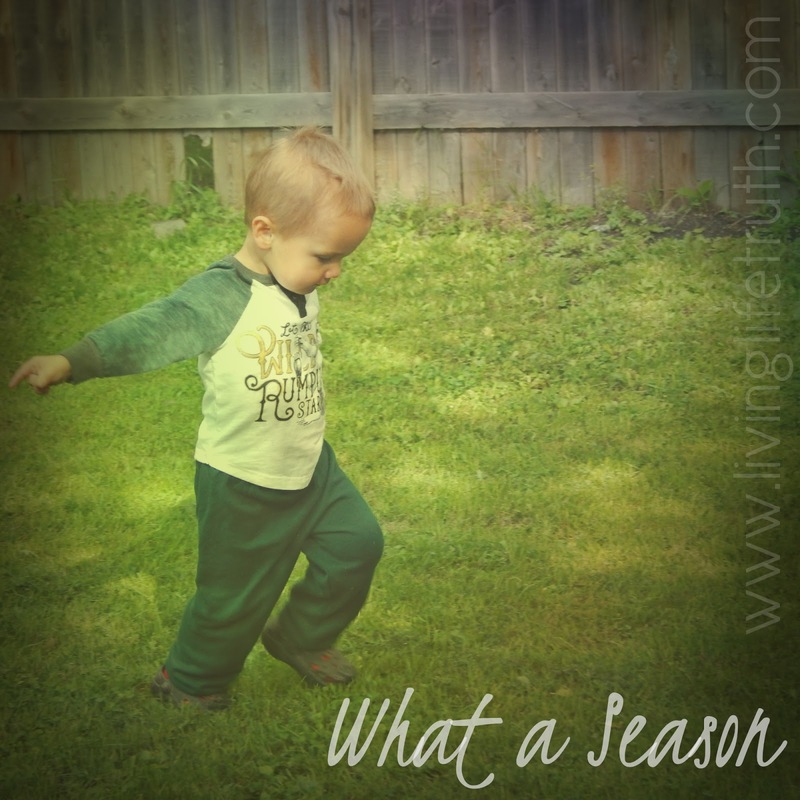 It's good that you're reveling in every moment--even if it feels messy and tornado-like. You'll never regret the time you spend with them when they're little! Your opening lines made me smile, for I have a Pit Bull who sleeps in the shower. One day I did not realize she was there. Pit Bulls do NOT like unexpected baths. She didn't get mad, but the straight line between her and the door was through...well, OVER me. Ah pit bulls and toddlers have so much in common :) My toddler isn't a huge fan of baths either! Thank you so much for your encouragement, Christina! Christina, Andrew is right. You've captured lightning in a bottle with this beautiful post. xo #FMF in the 24th slot. I look forward to my husband and I having little blessings from God of our own. I feel that God wants me to be a mother because I love children so much, perhaps because I can relate to them. 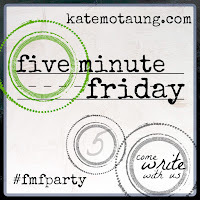 I'm new to the FMF community (post #55) and returning to my relationship with God. God bless! Welcome to FMF and, even more awesome, welcome back to walking with the Lord! How awesome! I'm sure you will be a wonderful mother. Children are a lot of work but, wow, these little people have brought so much joy to my life!